We Have a Book Cover! With exactly one month to launch date, here is a sneak peak at the book cover! This image is a piece of collage art that I created after my first son was born. I was trying to visually represent how motherhood had taken my whole self apart, re-arranged all the pieces and put them back together in a completely new and un-recognizable pattern. How I was reborn just as my son was born. This morning I realized that after my second son was born I went through this process even more intensely, as I experienced devastating depression both during my pregnancy and afterwards. And I had a light bulb moment. Because even though I love him more than I can say, I still have moments where I regret having a second child because going through that depression nearly killed me. But I realized this morning that all the work I am doing now, both with this anthology and with the Love Your Body Summit, is a direct result of having him and going through that depression. It forced me to look at all my broken places that I was trying to gloss over and really face my darkness. And it brought me to what I now consider the greatest work of my life. Because it has already changed mine. 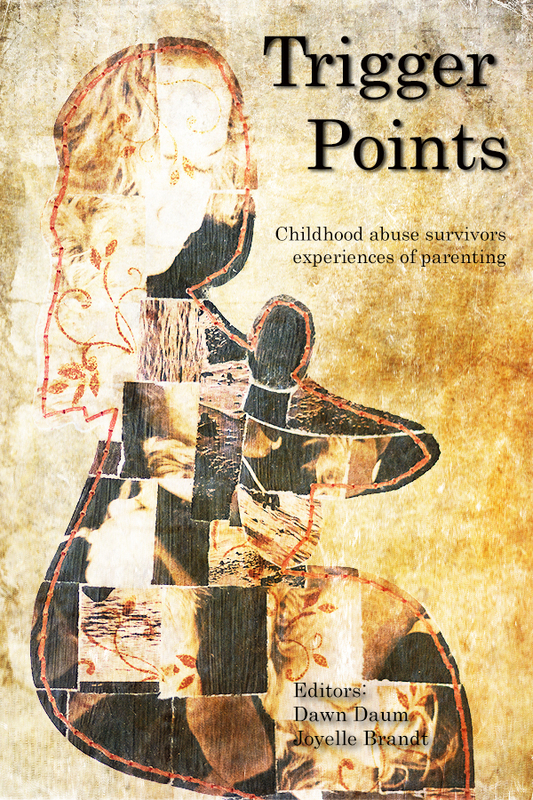 Next Post Trigger Points Anthology ~ The Book, the Creators, the Mission. The cover is magnificent. It’s perfect. I found my hands shaking as I scrolled down to see the cover. When I got there, I did that rapid intake of breath, followed by a teary-choking in my throat with a whispered, “Yes!” Because you captured it. Thank you. I’m excited to read everyone’s stories and I’m honored to be a part of it. I’m so proud of the work you are both doing to launch this! Many thanks and much love to you both! Pingback: A Book Cover Reveal and a High Five From the Universe. | W.T.F.